JNN o9 June 2015 Riyadh : Abu Mazna al-Zalfawi, a relative of the terrorist who on Friday carried out a suicide bomb attack against a Shia mosque in Qatif, Saudi Arabia’s Eastern Province, has threatened more attacks against Shias in the region. According to al-Ahd news website, al-Zalfawi has praised his relative for the suicide bombing and said more such operations are on the way. Frist Attack was On Friday, 21 Shia worshippers lost their lives and scores of others were injured in the terrorist attack on Imam Ali (AS) mosque, in the village of Qadih, in Qatif region. The ISIL terrorist group has claimed responsibility for the blast. The Second Attack was Carried out at Imam Hussain Mosque in Dammam , in which the Suicide Attacker was stopped at the entrance of the Parking of the Mosque , by Brave and Fearless Shia Volunteers , who gave their lives to Protect the Sanctity of the Mosque and at the same time to save the Innocent Muslims offering their Prayers . Suadi Monarchy which is Promoter of Sectarianism and terrorism across the World Is now under severe threat as now the cactus tree , which they have Planated decades earlier , have started to spread its roots in their homeland , and the recent Suicide Blatsts are a clear evidence of the Mere fact , that now Neither the Saudi Monarchy Nor the Harmain Sharifain are safe under the rule of the Ale Saud Monarchy . 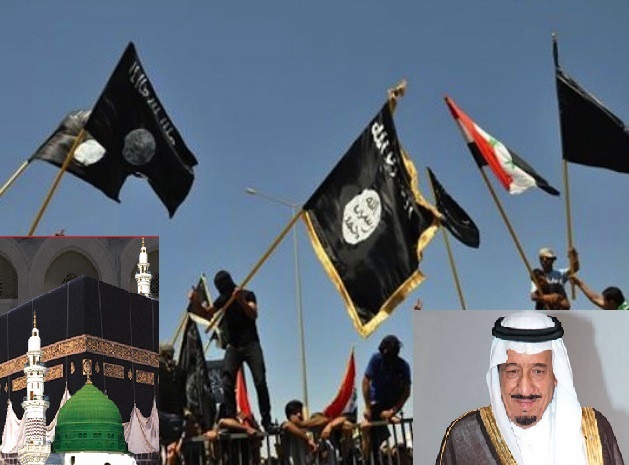 Shias in Qatif region are convinced, saying that anti-Shia propaganda and Takfiri rhetoric that is common in Saudi media give rise to terrorist attacks against Shias.As No actions are taken by the Monarchy , rather they are still promoting the Terrorist Wahabi Ideology and sponsoring terrorism and sectarianism across the World . Meanwhile tension is running high in Saudi Arabia’s Eastern province following the deadly bomb attacks. The residents of the al-Qadeeh town in Qatif, where the attack took place, have voiced their anger at the Saudi government’s lack of care for their safety. There is a very Strong Voice raised in the Muslim world at present that The Self Acclaimed “ Khadim e Harmain Shariffain ” ( Caretaker of the Two Holy Mosques of the Muslims ) are now incompetent of Protecting their Citizens , so how they can be trusted for the security and Protection of the most Holy Places of the Muslims . Plus The Incompetency , the Impotency and their relationship with the terrorist Networks of the Saudi Government has also been now Openly exposed , And above all the Holy Lands Can never be the Part of Personal Property of any Individual or family , as Saudi Arabia is the Only Country in the World , whose Name Declares that it is the Personal Property of their family , which they have acquired through conspiracies with their British Masters. This entry was posted in Middle East and tagged Ale Saud, Khadim e Harmain Sharifain, Madina, Makkah, Mecca, Saudi Arabia. Bookmark the permalink. ← Recent Upsurge in Shia Target Killing Claims 5 More Shia Hazaras Lives in Quetta ,Pakistan . KILL HIM AND HIS FAMILY WHEREVER ANY MUSLIM FIND ABU MAZNA TO SAVE HARMAIN SHARIFAIN.